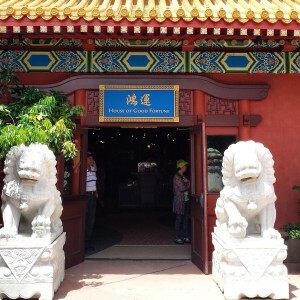 Menu Monday: Snacks from the World Showcase: China! It’s Menu Monday! Today we are looking once again at packaged snacks that are available in Epcot’s World Showcase, and we have already visited Japan, Canada, United Kingdom, France, and Germany. 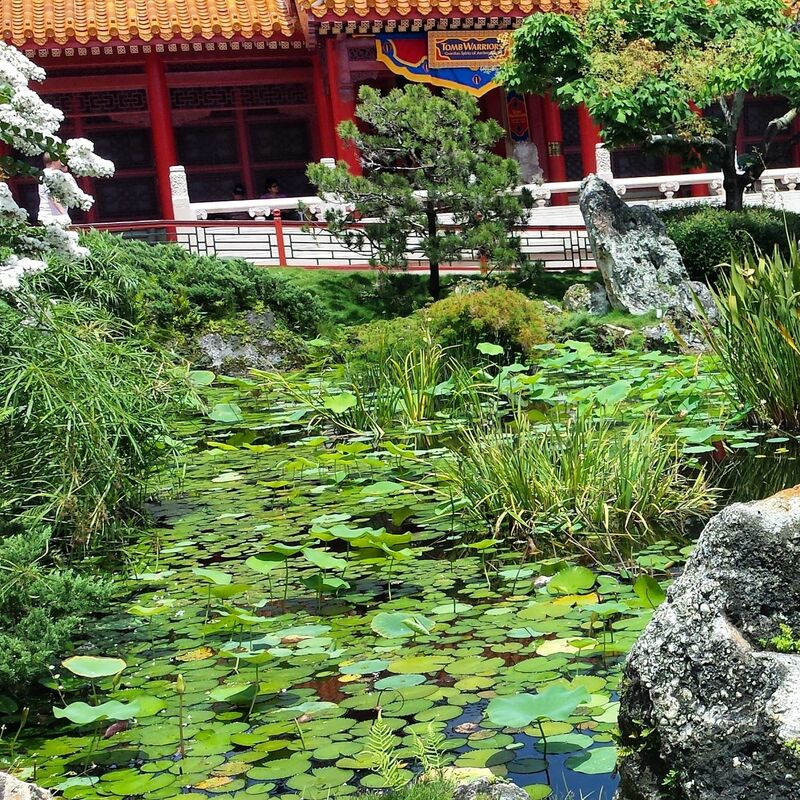 Only a few stops remain on our snacking tour, so let’s check out what’s available as we explore today’s stop, China! Let’s see what we can find! China’s pavilion is home to several must-sees, as well as two restaurants and a large shop with a large variety of options. 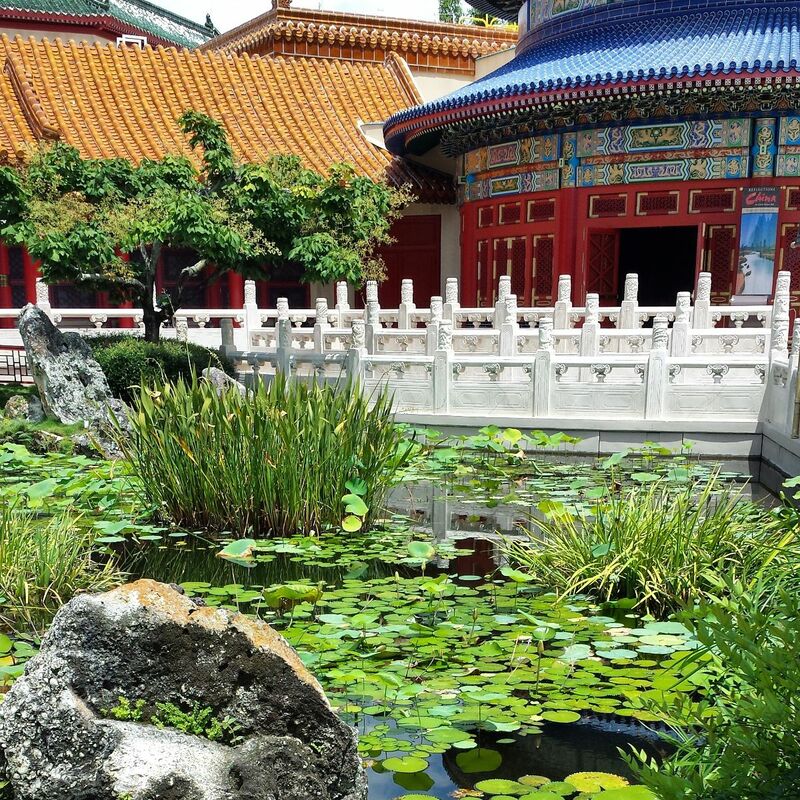 The main attraction is the impressive Reflections of China, a Circle-Vision 360 film depicting life in China. 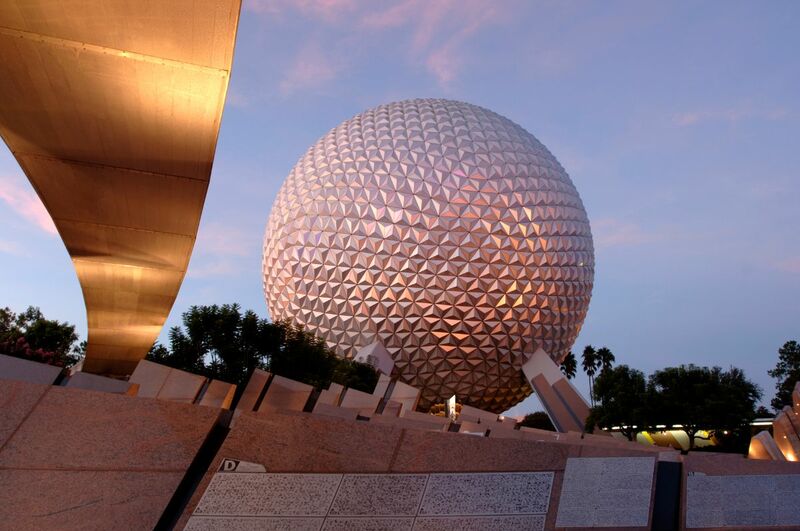 While the video is starting to feel the slightest bit dated, the vibrant visuals and engaging soundtrack make it a necessary stop on your Epcot Touring Plan. The film is presented in a theater that has screens all the way around the room (thus the Circle-Vision 360 name! ), so be sure to keep an eye on what’s happening behind you. 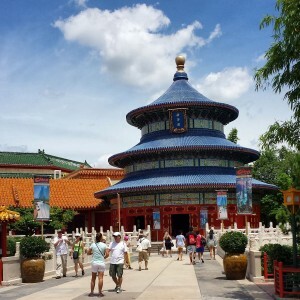 China’s Pavilion is just gorgeous, including this replica of the Temple of Heaven. 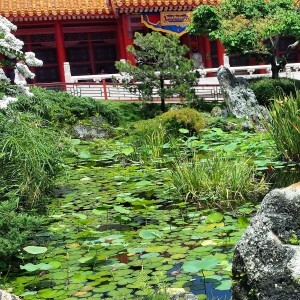 The tranquil ponds make this a peaceful spot to stand and people watch. 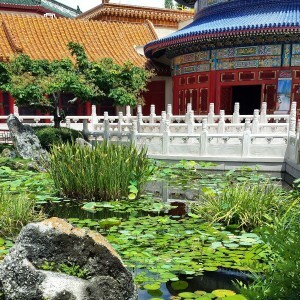 China is also home to two restaurants, the Lotus Blossom Cafe and Nine Dragons (serving Chinese food, of course! ), as well as a food cart, Joy of Tea. The Joy of Tea offers a combo meal that is reasonably priced, and there’s rarely a line, making it a good choice if you need a meal without impacting your touring plans. There are many small bridges wandering over the ponds to explore. It’s easy to see why so many people enjoy their time visiting this pavilion, with tons of tiny details that you might not notice the first time (or the tenth time!) you visit. Even the roofs are fancy! 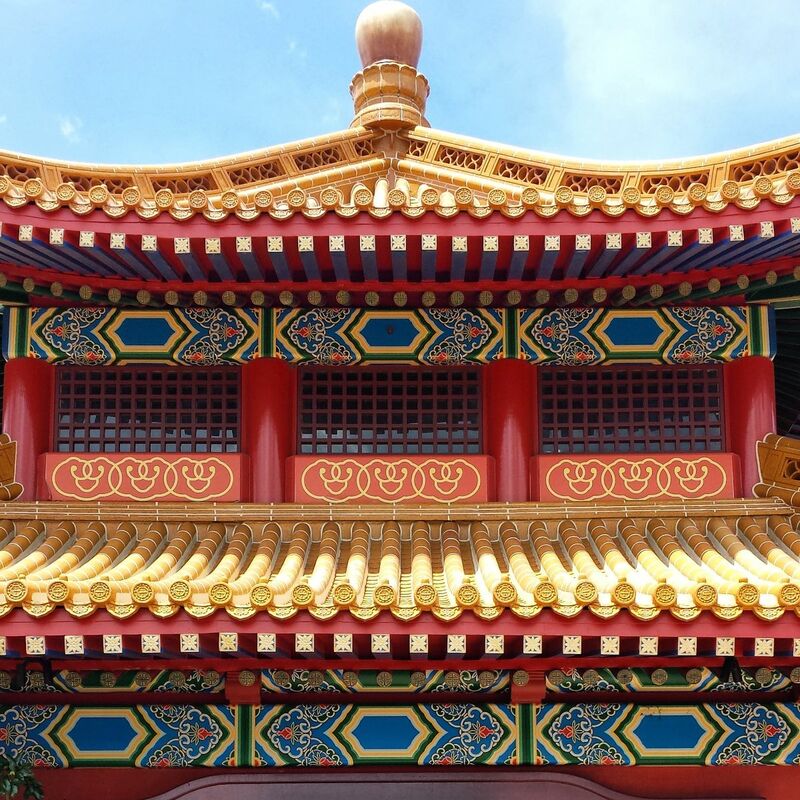 Check out the details on the House of Good Fortune’s roof! Finally, let’s check out our snack options! Lions guard the front of the House of Good Fortune, China’s shopping area. Whenever I visit the House of Good Fortune I immediately check to see what they have available in packaged snacks, as several years ago they had these incredible crackers. The package was completely in Chinese, of course, with the nutrition information in English giving no hint as to what they were. They were amazing, and instantly became one of the items I always look for whenever I’m visiting Epcot… even though I have never seen them there again. 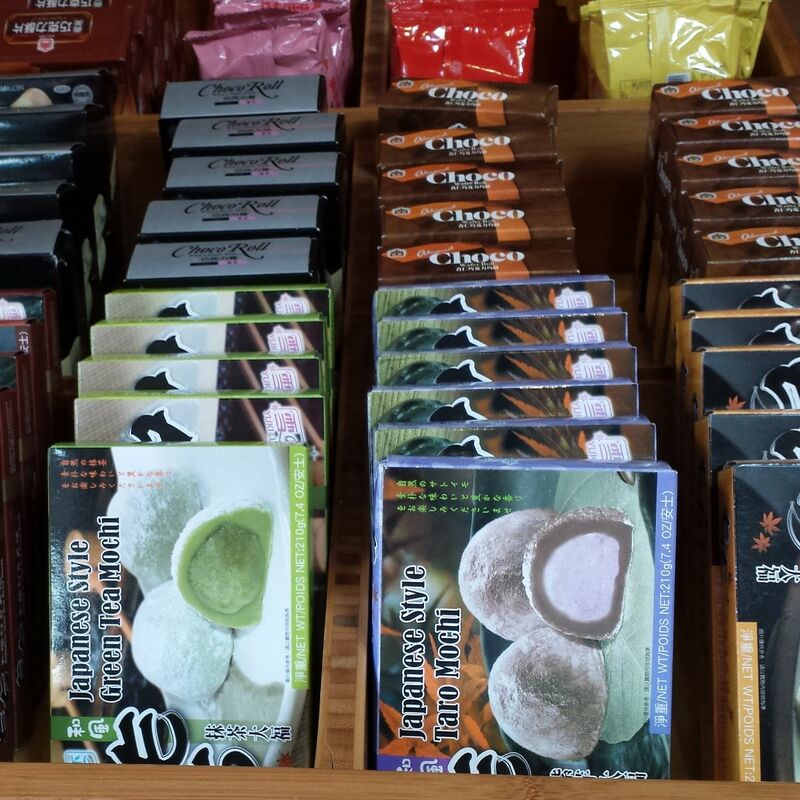 A variety of flavored ginger chews, including peanut butter, orange, peppermint, mango, and original. This trip I was also disappointed, with no crackers in sight, but there were several options available, so I quickly resigned myself to the loss of the crackers, and perused my options. Most of the options were some variety of candy (with ginger being a repeating flavor or component), with some cookies as well. 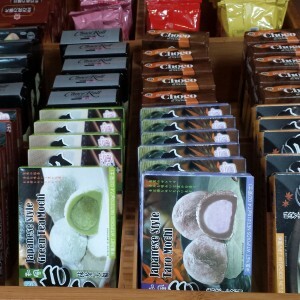 I have had Taro before… I was not a fan of the texture, which was gelatinous and strangely chewy. After a close look at each item, guessing at the prices (most didn’t have a price tag for some reason), and far too much time spent over the few options, I decided to get two items, Chimes peanut butter ginger chews, which cost $2.50, and cola-flavored Striking Candy, which cost $3.95. 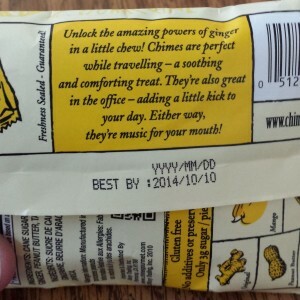 “Chimes is comforting wherever you go!” Well, that’s comforting, I suppose. $2.50 for the bag. The package promised lots of things, including being gluten-free, comforting, and boasting that pure ginger is used in the making of this candy. 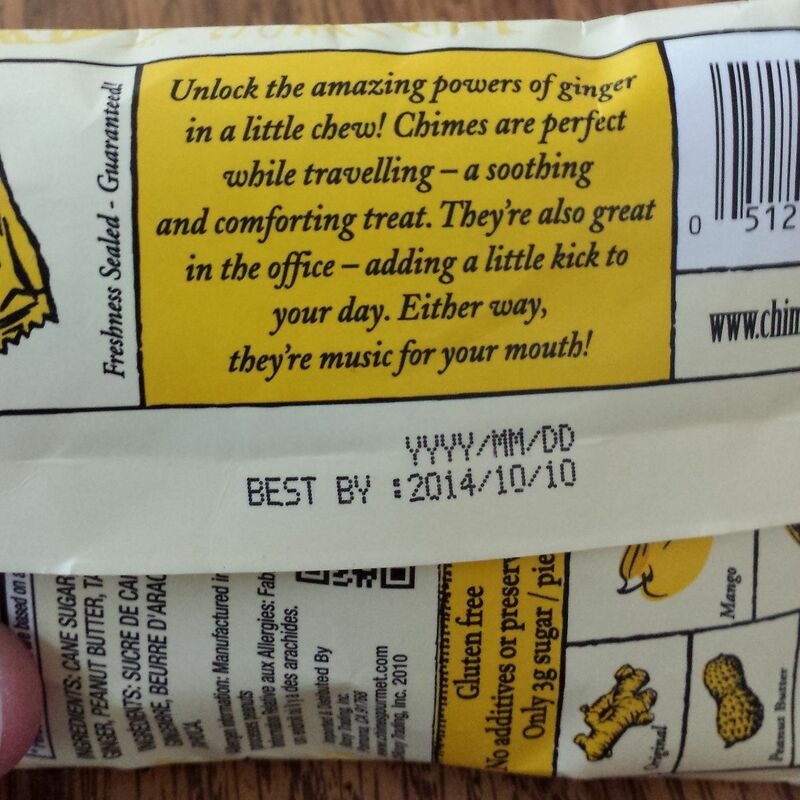 This bag promises great things for travelers, and even promises you music for your mouth in the office! The back continued the superlatives, and claims great things for the traveler, making it a good treat to pick up for your travels home from Disney. 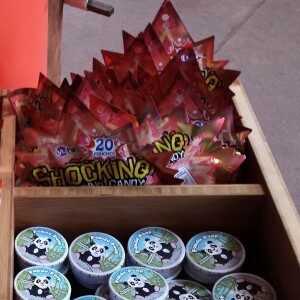 Each chew is individually wrapped, and labeled with the flavor. 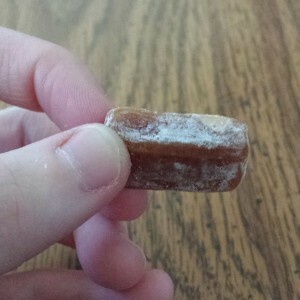 Once I unwrapped the chew, I found it was covered with a white powder, likely powdered sugar, and looked like a caramel. The chew is about an inch long. 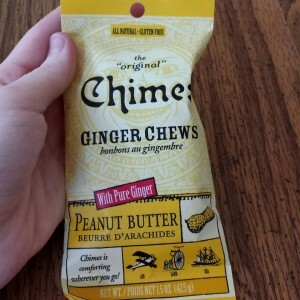 The candy was chewy, as should be expected from a chew, and had a nice peanut butter flavor with an understated ginger taste. 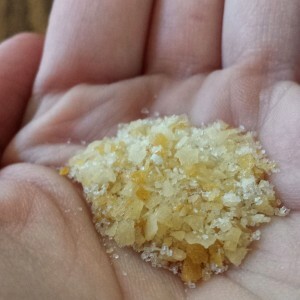 After a bit, though, it started to burn my throat and the ginger taste was slightly stronger. Upon swallowing, it warmed both the throat and the stomach, which was a bit disturbing. 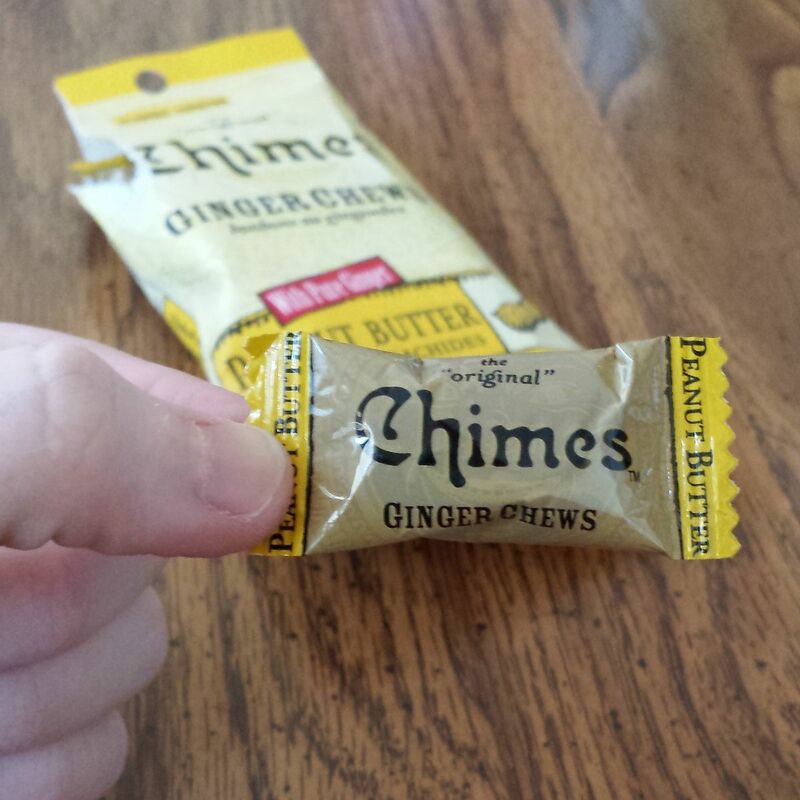 I know that ginger is commonly used to treat upset stomachs, so I guess that was a good thing, but it was a strange feeling nonetheless. 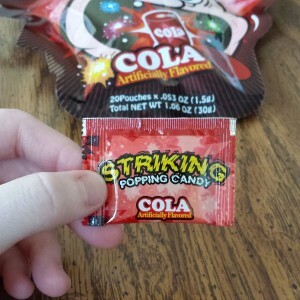 All in all, it had a good taste, and was tolerable even with the burning, so I am interested to try this candy next time I travel or have an upset stomach to see if it actually helps. 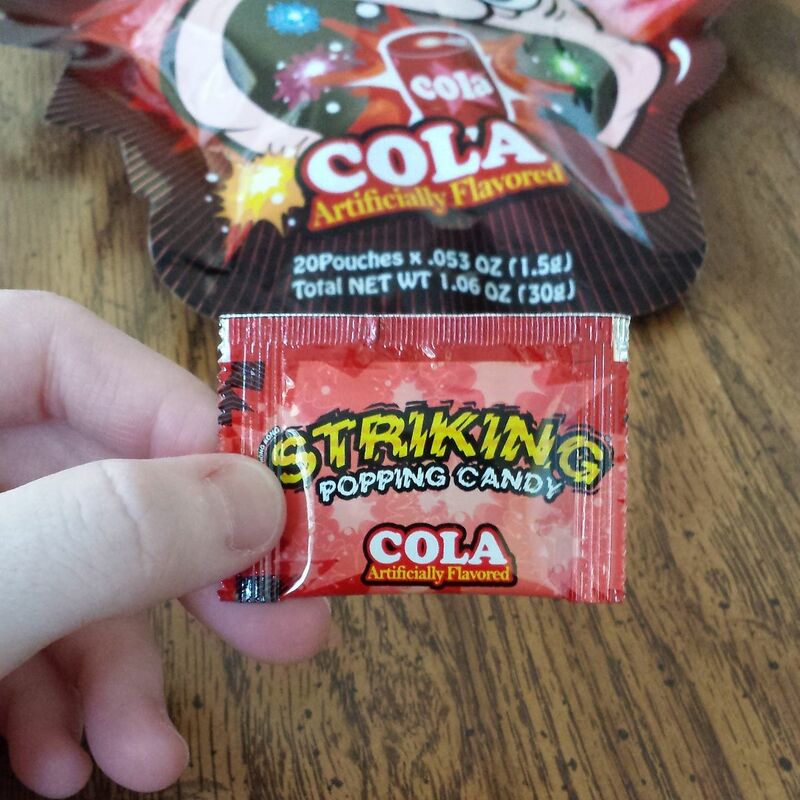 Next, I also got Striking Popping Cola candy, which I guessed was like Pop Rocks, but in an unusual flavor. 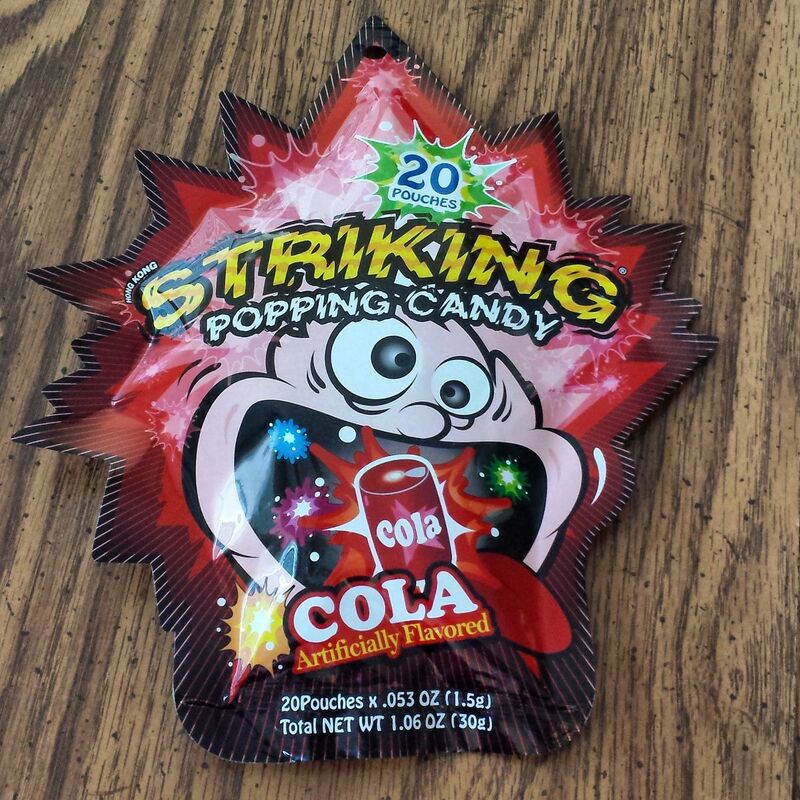 The package contained 20 individually wrapped pouches of the candy, making it easy to share. 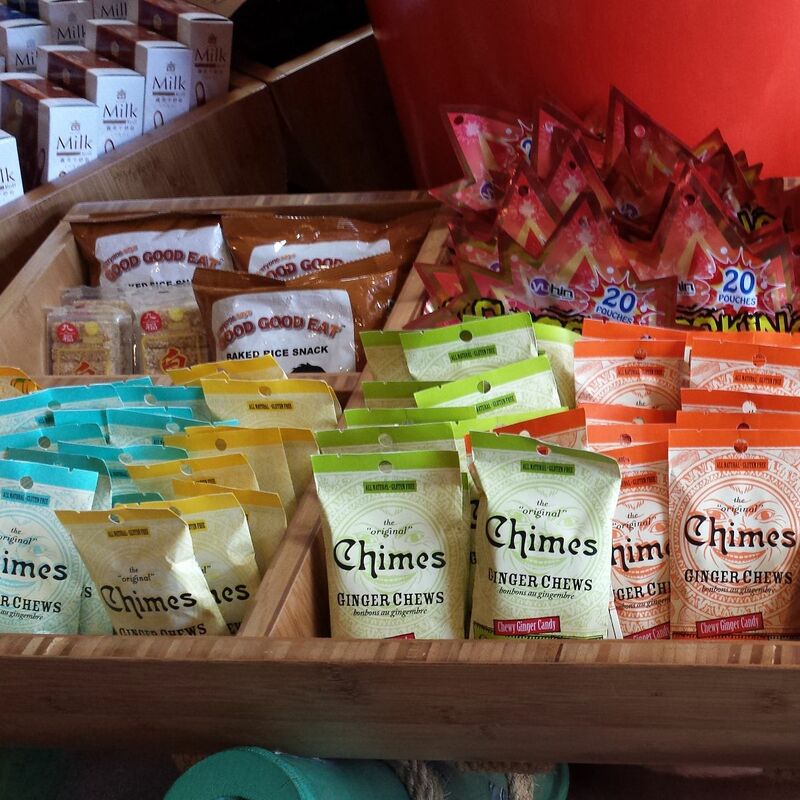 The pouches are tiny, which makes it easy to enjoy without feeling guilty. After opening up the pouch, I poured it out, finding small pieces in a yellowish color, which are indeed rather rock shaped. This is the contents of one of the individual pouches. 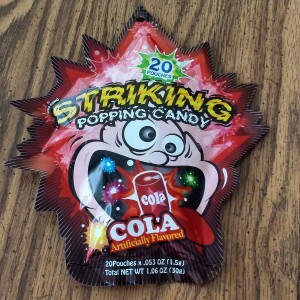 For a candy called Striking Popping candy, the name is very appropriate. The candy is extremely tart, and immediately pops in your mouth, exactly like Pop Rocks, just in a smaller amount. The taste was of tart cola, and it was quite tasty. 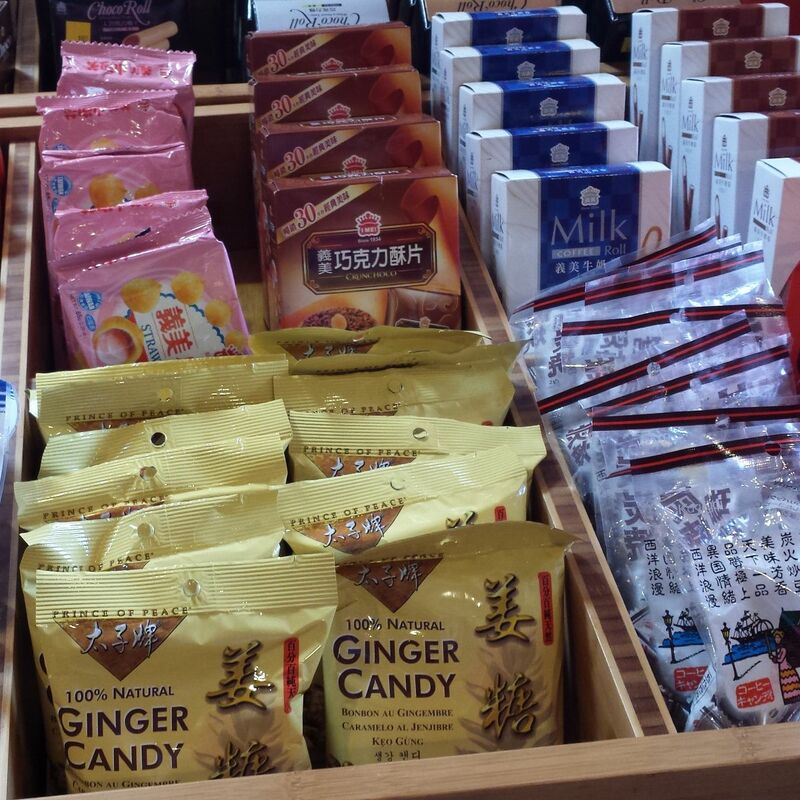 Since the candy comes in small packets, it would be quite fun to share and not explain to the unwary the tartness of the candy, and enjoy their facial expressions. All in all, I enjoyed both, and would like to try the other flavors if I were to get either again. So, what do you think? Would you like to try the Striking Popping candy, or would you prefer the Ginger Chew? Let me know in the comments! It always amazes me just how authentic the china pavilion is, especially the replica temple of heaven. 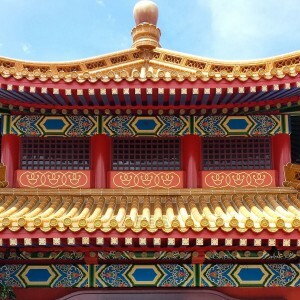 I went to Beijing and visited the real temple of heaven in 2009 and comparing photos from the real and the replica at WDW they are identical (save for the size!) WDW really do put an amazing amount of detail into the pavilions which add to the immersive and magical experience of world showcase! That’s crazy that it’s identical… I knew that it was based on an actual temple but didn’t realize it was that exact. How fun! Thanks for sharing that. I will have to look again when I go!